We are local Nashville artisans creating beautiful handmade jewelry, terrariums, plants, fairy gardens, and geometric crystal shelves. We also have hand selected crystals, minerals, fossils, and more from around the world. Custom wire-wrapped gemstones. Russ' unique style is made with one-of-a-kind gemstones, sterling silver or 14K gold filled wire. Josephine carries Old Jade Ancient Art, chakra stones, crystal or gemstone jewelry and beads. Packages of gemstones fossils and minerals. 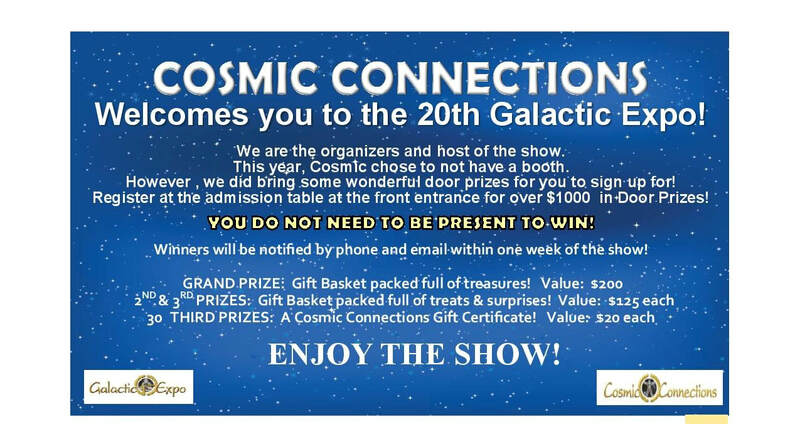 Always look for the unexpected at our booth. We cater to all spiritual paths. Our store offers a loving atmosphere as you browse the wide variety of products including: crystals, rocks, candles, incense, oils, herbs, tapestries, statues, jewelry, books and more. We offer Reiki, readings and classes. ​Divine Treasures is now located at The Golden Cypress! We offer wire wrapped jewelry, paintings and handcrafted art. We also carry steel tongue drums, crystals and leatherwork! Kim is a medium, healer and clairvoyant. She uses art as a Healing Modality. Kim paints what she sees in her clients readings. Session are 45 minutes long and by appointment. Schedule early, sessions fill quickly! Gina is a gifted intuitive with 25 years experience and an international clientele. She's also a clairvoyant, psychic and channeler, Light Body/ascension, aura reader, medium and animal communicator. Get reliable answers from a higher source. Nashville Academy of Reflexology students and graduates will provide 15 or 30 minute foot reflexology sessions for $1.00 per minute. Sign up early for your time slot! We are also offering a tented aroma dome experience with Young Living oil, muscle tested and diffused especially for you for 10 minutes at $10. A reading with Suzie is a deep look into the heart and soul of your situation, the people involved and your way through. Her insights are direct, honest, and compassionate. Suzie ensures you have all you need to create the best possible outcome in any situation. She uses her 30+ years experience and in-depth knowledge of Astrology and Tarot to get you the most accurate information, and her talent as a Medium to help you find peace and comfort through contact with your loved ones on the other side. She has had a strong connection with the spirit world since childhood. Suzie has studied at the prestigious Arthur Findlay College of Psychic Sciences in England, Lily Dale and Cassadaga. Suzie is regular guest on the Today in Nashville show, writes Astrology columns and blogs for various publications including Brides Magazine, Good Housekeeping, Cosmopolitan, Bustle and Elle, hosts a radio show on Hippie Radio (The Cosmic Coach Show) and is the on-air Astrologer for WSCA-FM. Her beautifully ornate replica of a Gypsy Wagon is a big hit at fairs, festivals and corporate events around town. Renee focuses on the physical, mental, emotional, and environmental causes of disease or discomfort. She will be offering 20 min / $20 treatments focusing on stress and anxiety relief. Crystals and minerals from around the world. These are handpicked for your personalized and planetary transformation. CBD Oil and so much more! Handcrafted all-natural Shea Butter soap and candles for over 20 years. Alchemy of Sol uses pure essential oils, organic sustainable palm oils, herbs, grains, and clays. Local artists creating whimsical & intuitive art in a variety of mediums. Come explore your inner goddess, buddha nature or playful spirit. All are welcome! Hand crafted Orgonite. Custom and inspired designs and crystals specially selected and Reiki charged. All that are beautiful for home or office. Excellent gifts for loved ones! Something for everyone. 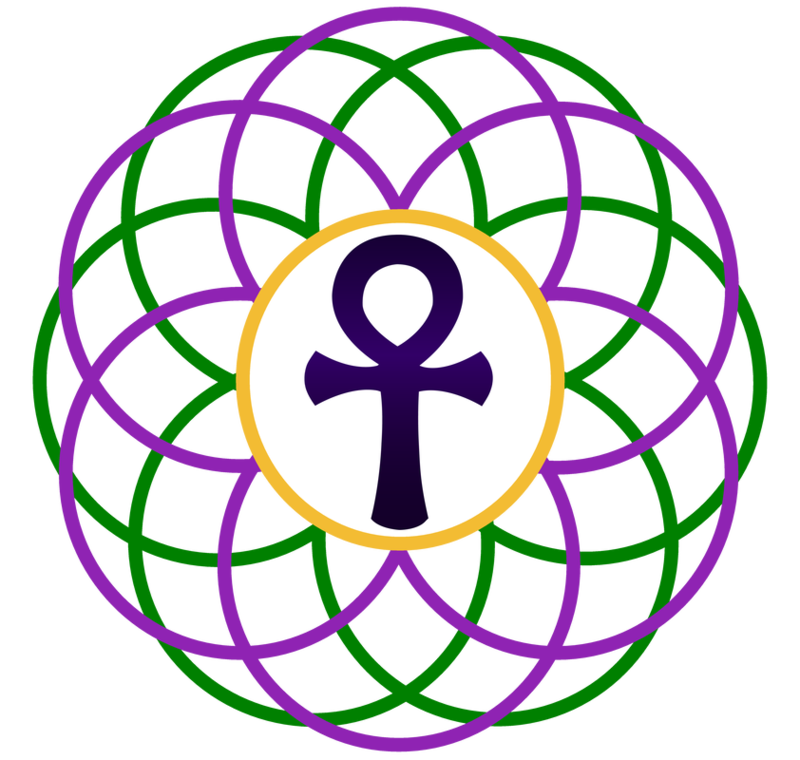 ​Unique, high frequency minerals catering to the metaphysical community! Tania is an energy healer practicing multiple modalities including Tibetan Soul Healing. Healing sessions and intuitive readings available. Crystal Gypsy Designs are spiritually energized one-of-a-kind necklaces featuring amulets found worldwide. Custom cutting; stone cutting, crystals, jewelry. Featuring “scenic” agates & jaspers; stones with inclusions, landscape and other pictures in stones. Janna and Trinity specialize in psychic readings. They are mediums, healers and authors. Channels for healing; hands on sessions featuring energy head-to-toe, healing for your brain, body and spirit! Tom also does Akashic Record consultations! The journey of spiritual freedom is the adventure of a lifetime. You begin to experience true spiritual freedom as you grow in awareness of yourself as Soul, an eternal spark of God. Soul consciousness exists far beyond the influence of the astral (emotional), and mental (casual and etheric) bodies. These lower bodies can, because of karma and attachment, cloud or distort the love of God which exists naturally on the Soul level. Through the Spiritual Exercises of ECK, you can purify these bodies to receive the many spiritual riches available in this incredible lifetime. CBD tinctures, hand crafted wire art, Tree of Life jewelry, sacred geometry, essential oils, jewelry diffusers and much more! Get a full color photo of your Aura with a Bonus Chakra Photo. Suzanne will also give you any messages from her spirit guides. PrettyRox healing gemstone and Chakra jewelry. With over 35+ years of professional experience, LaMont Hamilton is recognized as one of the top leading Psychic Clairvoyants in the world. As an Empath and a Clairvoyant, he understands everything through his own personal experiences and serves full-time assisting individuals in over 40 countries around the world. He uses no cards, tools, or props to obtain his information and can read anyone that is in the physical or Spiritual realm since he works with Angels and Guides that bridge both dimensions. He's commonly referred to as the "Baby Psychic" since he can read unborn children and help families understand why they're having fertility issues. See LaMont and have your own personal session! LaMont was again listed in January 2016 on the Paranormal.About.com website 6 years in a row as one of their "World's best-known Psychics and Forecasters". Psychic mediums who received their training through the Indiana Association of Spiritualists. They are also the co-pastors of Progressive Spiritualist Church in Indianapolis, Indiana. aromaG’s botanica - the aromagregory co. - is your sources for all things herbal, aromatic, and esoteric. Try our scented candles, incense, and aromatherapy oils in your own sacred space and feel the energy that awaits you. We are much more than a natural soap and herb shop but also a hip and funky New Age - Metaphysical store with a specialty in Hoodoo and American Folk Magic. Nashville's largest variety of essential oils, aromatherapy diffusers, over 300 teas and herbs. Teas served by the cup. Books, stones, 185+ tarot cards, gifts, candles, Lucky Mojo projects, psychic readings, classes, healing energy services. Intuitive Henna Tattoo's are painted with all natural paste of henna leaves and essential oils. These designs are hand painted on based on your spiritual energy. Raku pottery, gemstones, crystals, tarot, stickers, banners, sage, palo santo, pendulums, jewelry, dream catchers, novelty items and more! All lapidary and silversmithing done by Sea Star. Featuring unique, hand crafted jewelry, antler pendants, stone in laid focals, cab and sterling focals, dreamcatchers, rough slabs and tumbles. Safe Harbor sisters! Nancy offers Rune readings; Nancy does Tarot readings. CD's are given. We also have dream analysis, wands and jewelry. Angel Radiance offers a wide variety of candles which are Angelically infused to support your awakening, including candles for Money, Love, Health, Healing, Spiritual Awakening, and more. We have a beautiful line of Deity candles as well. Through our consultations you can order any candle specially attuned to your own vibrational creation which are our Special Pour candle offerings. Our candles are made from sustainably harvested palm wax and pure organic essential oils. Angel Radiance offers five full candle lines including the Sacred Line, Meditation Line, Manifestation Tool Line, Deity Line and the Animal Line. One of Ayesha's spiritual gifts is to place herself in a place of sacred space, attune to your current vibration and pour for you the path you are requesting, allowing you and your own Divine Spirit to work for your highest and best purpose. Stop by Ayesha's booth to purchase your candle or make your appointment for consultation for a special pour candle to awaken your heart, your home, your life. Quantum Touch is a method of using energetic life force energy to entrain the client’s energy to match the higher vibration of the practitioner. The client’s body will atomically ascend to the higher frequency, thus healing themselves. Gene Skaggs, is presently the only Certified Quantum Touch Practitioner in the middle Tennessee area. Quantum Touch is a method of hands-on healing that must be experienced to be believed. The process is based on the Quantum physics laws of energy. The body is energy and when there is a restriction of this natural flow of energy, the body will manifest illness. The body technically isn't sick, but the mind/chakras, or as Quantum Touch calls them energy vortexes has a restriction in its flow. ​​Psychic Medium, Tarot Reader, Numerology, Soul Blueprint. Les Kluzinski is a 3rd generation Psychic Medium, born & raised in Chicago, Illinois. After a near death experience in 1983, he started utilizing his gifts to deliver messages to help those who come to him. Using psychic ability, your soul blueprint and tarot cards, he can connect you to the spirits who long to help you, whether they are your guides or those who have departed this earth. Over the past 25 years, he has read countless people and attended numerous metaphysical expos. His mission is to help connect people with whoever has crossed over or to connect them with their spirit guides or guardian angels. If you are unsure about what path to take, allow Les use his gift to guide you on your journey. Receive messages of love, encouragement, and healing from the Arch Angels with Christy Crawford. Christy is a gifted psychic with a passion for delivering messages of light and clarity. Women's apparel in tie-dye & batik technique. Rayon, acid wash, cotton & silk sun dresses, skirts, blouses. Belly Dance costumes, hip scarves, shawls, bags, statues, tapestries, singing bowls, jewelry meditation pillows and more! Experience the Divine Light! Deep Relaxation. Stress Relief. Chakra Clearing. Spiritual Transformation. Antonia Blue Star Energy Healer is an Ataana Method Practitioner, Teacher and IIN Holistic Health Coach. Explore the fascinating work of 'Edgar Cayce' (1877-1945), one of the most documented psychics of all time, a renowned mystic, and the father of holistic medicine. Edgar Cayce's Association for Research and Enlightenment (A.R.E) was founded more than 80 years ago to help people to transform their lives. Our goal is to be your resource for body-mind-spirit materials that will help you in your everyday experience to be all that you can be. Neal incorporates sound immersion with reiki and offers a unique style of energy healing that goes beyond the traditional form. Sound vibrations are delivered through the table as well as acoustically. Spirit Dancer sells crystals, minerals, jewelry and gifts. Shamanic Energy Medicine, Crystals, Minerals, Jewelry and gifts from the Heart of Mother Earth. Shamanic Energy work Sessions. 20 years of study with Peruvian Shamans have made Jean's energy work something you will want to experience! Gallery quality embellished prinston canvas; gallery prints; healms, discs and jewelry. Bookmarks, magnets, my "celebration of love" oracle deck and children's books. Tools for transformation. Visit Joy and Kiki for insightful, empowering, and innovative tarot readings. Browse crystals, crystal grids, jewelry, potions, lotions, candles, books, and magazines. 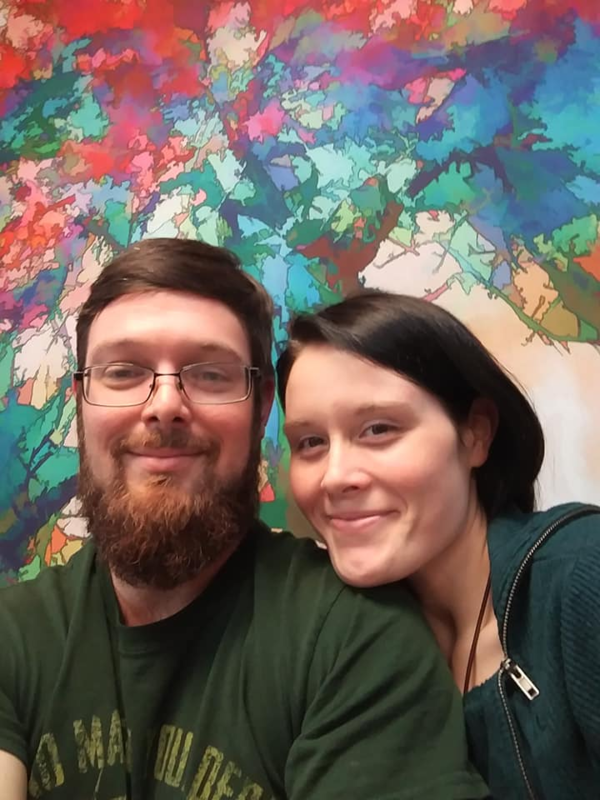 Jeff is a Shaman, Certified Practitioner of Reconnective Healing®The Reconnection®, Reiki Master Teacher, Distance Healer, Tarot Specialist and Life Coach. During healing sessions, Jeff synergistically employs ancient spiritual energy practices, quantum physics and sacred connectedness to effect profound psychic, physical, mental, emotional and interdimensional healing. Jeff has also distinguished himself by reading and teaching Tarot for clients internationally! He utilizes tarot cards to tap into the spiritual realm and to bring forth messages, predictions and guidance for his clients. Jeff, a legal adoptee in a Shipibo family, is recognized as a member and shaman for the Shipibo tribe; an indigenous people along the Ucayali River in the Amazon rainforest in Peru. Jeff helps support his Shipibo family by selling their beautiful handmade Ayahuasca Art and Spiritual Aids. Quantum Touch is an energy healing modality that assists in the healing of the body, mind and soul. We hand craft healing wands from all sorts of crystals, sticks, stones, bones, antlers, shells, coral, fossils, found objects, love, intention and awesome juju for meditation, Reiki, space clearing, energy work, dream work, etc. A healthy delicious health drink with sustainable ingredients called, "Green Tea Hawaii." A delicious drink with over 200 health benefits. Bonnie and Jane enjoy sharing messages from spirit with their many years' experience. Their compassion for each client results in comfortable readings. Join them for yours! Always a special treasures at our booth! Crystals, metaphysical stones, healing and grounding tools, minerals, spheres, rings, bracelets, jewelry, gifts, rough, tumbled and therapy stones. Stone and Crystal Energy work, Etheric Field Cleansing, Chakra Balancing, Empathic Intuitive Readings, Mediumship, Psychometric, Aroma Touch Hand Technique. Kelly is a psychic and strong empath, able to sense a client's emotions and physical pain. She uses these abilities to assist her clients in 'laying-on-of-stones' energy work sessions, etheric field cleansings, and intuitive, mediumship or psychometry readings. During sessions and readings, Kelly receives information from her own body as well as her Spirit Guides, and those of the client, to assist her. During a stone & crystal energy work session, cell memory cords and attachments are released, allowing more peace, comfort, joy and understanding to take their place. During an energy work session a client can have a number of experiences ranging from deep relaxation to emotional releases to astral travel and peeking into other dimensions. Your provider of prepared herbal remedies, soaps, salt lamps and more. Vegan friendly items. Far-Infrared Amethyst BioMats and water purification devices. Visit us online too! Erin is devoted to answering questions about the modality of Ortho-Bionomy , as well as, offering hands on work of varying lengths for $1/minute. Registered Practitioner. ​Seek answers with illustrated, channeled readings. Spirit inspired quick sketches of what Susan sees and hears for you. There is a sweet spot between what we do and who we are and what we want/need! There is a sweet spot between custom care and health care! That's what we do. We find the sweet spot, then explore it. Regardless of what you think you know about chiropractic. ​​Francine "Tuvia" Graver's insights and healing sessions bring clarity, sense of purpose and inner peace. Kenny's medical massage addresses muscle imbalance patterns and rejuvenates. Eden Energy Medicine (EEM) incorporates ideas and techniques from ancient healing and spiritual traditions with complimentary scientific ideas of health and healing. It focuses on energetic communications and processes that support the body's chemistry; therefore, addressing both physical and emotional difficulties. EEM is a complementary practice and a health support system in its own right. Each session is unique to you. Laura is trained to assess the body's subtle energy systems identifying disrupted energy patterns and make corrections to balance the energy flow within these systems. The body's natural healing ability is activated by balancing these energy systems and people experience increased energy and vitality. EEM is not costly, requires no special equipment, is non-invasive, and empowers people to participate in promoting their own heath and support their own healing. Therapeutic clay products from a secret, rare vein of magnesium bentonite clay used as a mystical healing agent by Choctaw Indians in Mississippi. A mystical healing agent is now rediscovered and available. A multitude of rings to please most ring lovers in sterling silver, stainless silver, or gemstone. We also carry pendants, earrings, stones (tumbled, cut & rough). We love to have the "one thing you have been looking for!" Award winning local artisan offering wonderfully crafted and handmade Soaps and Body Butters. Dianna's soaps are enriched with shea butter and olive oil, using all natural ingredients combined with essential oils for a variety of softly scented products. Unscented soaps are available for those who are fragrance sensitive or whose work requires them to be scent-free. Your body will love some of the additional botanicals such as: flowers, seeds or other polishers (like corn meal or oats) for their skin care properties. Dianna's body butters are made with shea butter, hemp and jojoba oils. A small amount goes a long way. You can feel the smoothing and softening effects of the body butters for hours after application. Stop by and sample some for a truly unique experience! Whether you want to experience Reiki for the first time, need an energy work session or tune-up, some extra help to relax and relieve some stress or just want to learn more about Reiki, you should make a point to stop by! Returning again to Nashville! Top quality Aura photos along with detailed readings. Over 23 years experience. See us for a detailed explanation of your aura to learn what the colors, placement, and chakra energy activity reveals about you. ​Revitalize and upgrade the energy of your space with a double dose of healing power from nature and the earth. Beautiful violets, lush ferns, exotic air plants and more - all with beautiful energy crystals. Step IN - Step UP! Are you ready to transform your life - start your healing journey today with Lucy Randles. Lucy is a certified sea shell shaman, emotion code practitioner and light language teacher. Sterling Silver wire-wrapped pendants in a variety of gemstones. Stop by and see for yourself! Tuning fork energy healing and chakra balancing sessions, as well as, sacred sound healing instruments including: gongs, singing bowls, and tuning forks for self help. Reader, healer, teacher. Spiritual counselor, psychic, medium, channeler. Medical and emotional intuitive. Shaman. Minister. Hypnotist. ​Known as the “bookman” on the road and selling books for 37 years. Metaphysical Bookstore, mountain shirts, tarot cards, oracle cards, sage, music, tapestries, sarongs, bags, hoodies, jewelry and much more. ​We offer private space for moms to nurse or pump with or without their precious bundles of joy. A changing station is also provided. Booths #1-86 in main building. There are no booths #87-99. Booths #100-132 in second building. Natural and organic skin care products. CBD Oil. Pain Relief. Skin Care. Essential Oils and more! Art Work that inspires. Carolyn's paintings are adventurous of the spirit and landscapes of the mind. Physical and spiritual world. Imaginatively merge. Mineral based, advanced electromagnetic technology, featuring alternative health devices: back belts, massage wands, tourmaline supports, titanium & germanium necklaces, pendants, wrist bands. 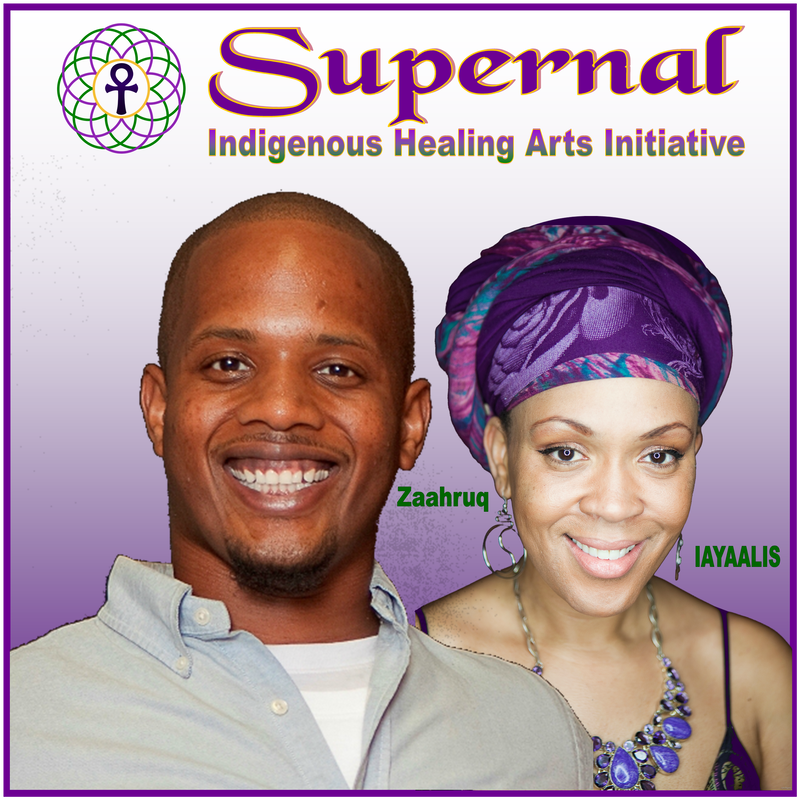 Supernal is a non-profit in support and faith in the Indigenous Healing Arts, serving to assist in the elevation of spiritual awareness: Intuitive Readings, Intuitive Massage, Shamanic Reiki. Better vibes for better living! Beautiful quartz crystal singing bowls and other vibrational healing resources. Raise your vibration, clear and enhance your surroundings. Promote calm, balance, and cellular re-tuning for deeper healing. ​Kevin "Chasing Wolf" Hutchins is a self-taught visionary and spiritual artist. Kevin's paintings are inspired by dreams, visions, intuition, the spirit-world and Native American teachings. Handmade tote bags and purses out of Pendleton Wool, Ultra suede and pewter buttons; Jody Bergsma journals, prints, mugs, etc. ; tote bags by Laurel Burch, collectibles, jewelry, artwork by Traci Rabbit. We specialize in a variety of handmade products which we create ourselves. Check out our popular handmade incense holders and crystal grid plates. Something else we do is engraving sacred geometry and other designs on many different products like RTIC mugs, sphere holders, selenite wands and palm stones, palo santo sticks, and agate slices. Other products include dog charms, our custom pendulum boards & pendulums. We also carry a variety of Native American herbs for smudging and other smudging supplies such as our very popular handmade smudging feathers. Welcome and experience transformation with the Ataana method. This method will enable healing on all levels so that we can manifest our full potential. Faith-based hypnotherapy combines the power of the subconscious mind and the word of God to overcome all obstacles. The Ten of Cups Metaphysical Store featuring the Higher Vibe Jewelry line! We are licensed reflexologists offering therapeutic stress-relieving sessions to bring your body, mind, and soul back to a place of harmony. Reflexology is applying pressure to the reflex points of the feet to stimulate healing throughout the body by evoking the relaxation response. Reflexes on the feet correspond to every system of the body, physical and energetic. Rena Ooi, owner of TurningYourLeaf is a Nurse, Functional Medicine Health Coach, Reflexologist, Master Reiki Practitioner, and Grief Specialist. Rena integrates all of her healing gifts to provide her clients with unconditional compassion and acceptance. Amanda Jay, owner of Sacred Moon Space is a Reflexologist, Reiki Master Practitioner, Astrologist, and Tarot Card Reader. ​​Our bodies remember pain, sadness, and anger. When these emotions are unheard, they are stored in our tissues. Amanda holds safe space for our bodies to come out of protection mode, release stuck energy, and connect to our soul's purpose. Sessions are 30 minutes or 60 minutes long and cost $1 per minute. Handpicked variety of rough and polished gemstones; handmade and fair-trade jewelry; pendulums; mats and boards, and so much more! Thomas has experienced many lives on this planet working with Higher energies. He has spent more than thirty years living and studying in various Sacred sites around the world, such as Luxor Egypt, Mount Shasta, Sedona, Romania, and Mexico. Currently he is using his knowledge and experience working with sacred geometric patterns, crystal grids, stones and copper pyramids to transmute lower energies into Higher frequencies. Thomas is a psychic counselor who does palm, tarot and past life readings. His artwork includes wands, jewelry, spoons, and woodcrafts. Thomas' books feature true tales of encounters with ghosts, spirits and angels. ​Liz is a pet psychic and medium. She is also experienced in animal communication, oracle card readings, animal runes and spirit and animal guides. Polly will relay messages from your loved ones that have passed. Tells of love, job, health situations and past life. Handmade jewelry (silver, copper and brass) with handmade semi-precious stone cabochons (wire-wrapped and silversmithing), handmade beaded jewelry, incense, essential oils, burners and diffusers, tapestries, body jewelry, Mountain T-Shirts, clothing and more! The NEW Chakras are here! Work with Dana to Activate and Fully Integrate these amazing NEW Archetypes of Energy. Not heard of a New chakra system coming in? Stop by her booth for a Charka Strategy Session. Walk away with what level you are at and what you need to do to move forward. These sessions are by appointment and fill up quickly. Also stop by to enter FREE Drawings! Pranic Healing is an advanced healing medicine for the 21st century that uses prana to heal and balance the energy bodies; which in turn heals and balances the physical body. Internationally known Intuitive, Psychic Medium and Radio Show Host. Rosemarie is: " Your Pathway to Those That Have Crossed Over"
Rosemarie's gift is pure organic! It has not come from classes or seminars. She became aware of her intuitive abilities as a young child. It wasn't until a near death experience that she received her message and purpose. "To heal mankind as The Messenger" Since then, she has been helping people hear their message, so that they can heal their heart or validate their purpose and path. Rosemarie's connection to spirit and her ability to mediate between human beings and spirit is internationally known. Rosemarie's gift has touched many people through the healing between those here or those that have passed, or just the knowing that our loved ones are ok.
Be it from your past, present, future or from those that have crossed over, "She knows Spirit has a message for you". Rosemarie's spiritual work has taken her on many paths. Her spiritual home business is where a majority of her reading's take place. Readings are done in person, but equally as many are done by phone. She also was a weekly co-host of Believing is The Quest, Trust Is The Key radio show on Achieve Radio in Denver Colorado. She was a constant reader monthly at 3 different Metaphysical Fairs in San Antonio and Austin Texas. While in Texas she was also the resident Medium at the Metaphysical and Gem Store, The Crystal Mystic. Her loyal clientele has followed her where ever she has traveled. Along with her spiritual work she has also worked over 20+ years in ICU Medicine. Revitalize your food and water with this Golden Ratio designed glassware. Restructures water in 3 minutes. Flower-of-life symbol energetically enhances food and beverages. Retail website and wholesale distribution in the USA. Asyra Pro Bio-Energetic Screening improves the body’s capacity to energize its own metabolic processes. It covers meridian points, internal organs, food, environmental factors, and emotional patterns. We are a neurologically based chiropractic office offering complimentary health assessments for the entire family this weekend! Owner of Balanced Life Wellness Center in Bowling Green, offers retreats to sacred vortex locations, Reiki Trainings in Usui and Karuna methods. Hemp Worx is featuring organic CBD oils, topicals and more!